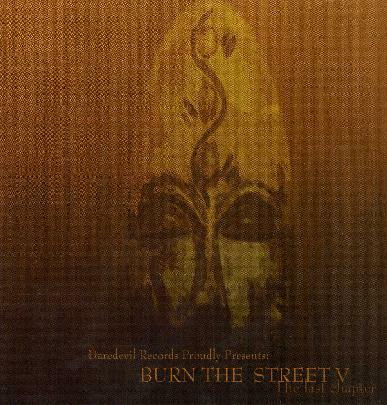 Daredevil Records has been supporting the stoner rock underground for years now and these are the last 3 compilations in their series called Burn the Street. Volumes 3 and 5 have the grooviest, more stoner rock stuff while Volume 4 is much heavier with a lot of metal bands, some not that great. You are treated to quite a few rare or unreleased tracks on these compilations, which is really nice. Volume 3 has unreleased tracks by Disengage, Chum, Sparanza, The Awesome Machine, Magnified Eye, Sissies, Mountain Caravan, Hell n' Diesel, Subsecond Rocket, and Astroqueen. Volume 4 has unreleased tracks by El Caco, Spiritu, House of Aquarius, Final Benson, Third Kind, Strain, Mendoza and On Parole. Finally, Volume 5, with cool (although a bit dark) artwork by Torben (singer in Magnified Eye) has unreleased tracks by Rickshaw, Gutbucket, The Awesome Machine, Dear Mutant, The Hurricanez, Generous Maria, and Defuse. Each CD features between 19 and 21 tracks, so you get a lot of music for your money with all these unreleased and mostly very good bands. My main complaint with these compilations is the poor mastering job performed. One track can be at a high volume and the next the track is like 40% quieter. This should have been looked into more carefully, otherwise, some nice, generally informative artwork. For more information you can visit the Daredevil web site at: http://www.daredevil.de.